Boulder, Colorado, police officials launched an internal affairs investigation. 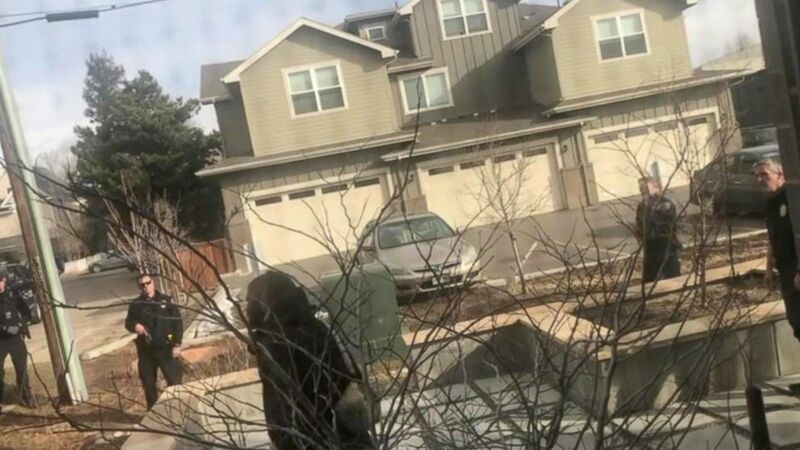 A viral cell phone video of multiple white police officers, some with guns drawn, confronting a black man who claimed he was just picking up trash on his own property has prompted an internal affairs investigation by the Boulder, Colorado, Police Department. "You're on my property with a gun in your hand, threatening to shoot me because I'm picking up trash," the man in the 16-minute video, posted on YouTube, screams at a Boulder officer during the confrontation. 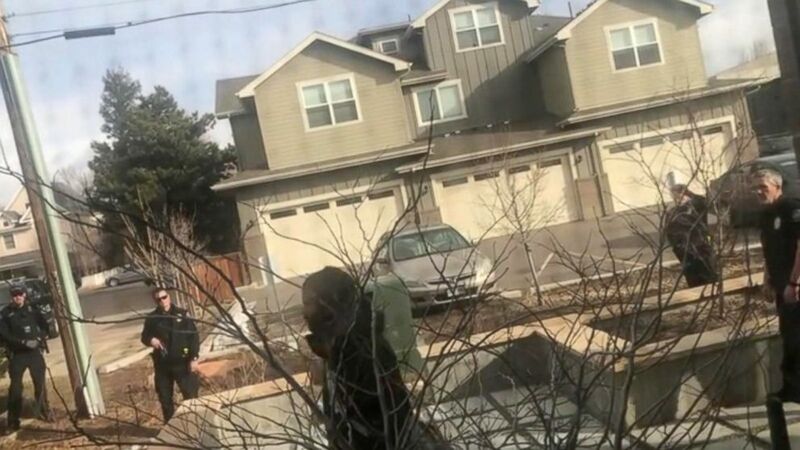 (Vanardo Merchant) Cell phone video shows police, some with guns drawn, confronting a black man in Boulder, Colorado, on March 1, 2019, who claimed he was just picking up trash on his own property with a metal trash grabber. Boulder Police officials said the incident occurred about 8:30 a.m. on Friday outside a home. 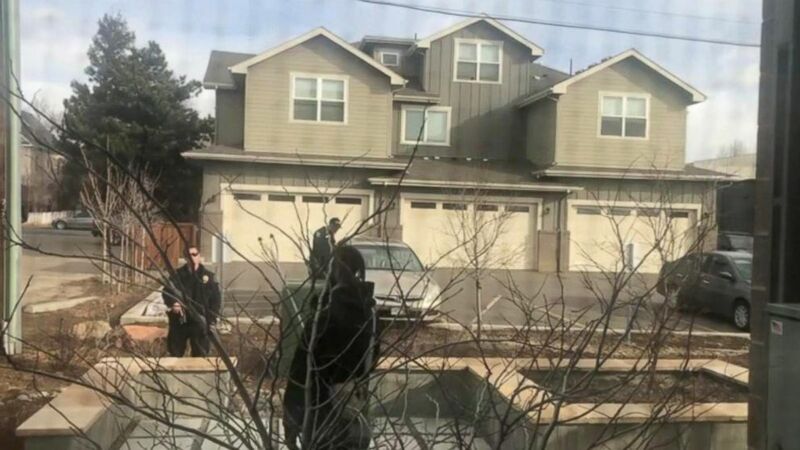 "A Boulder Police Officer observed a man sitting in a partially enclosed patio area directly behind a 'Private Property' sign and initiated contact with the man to determine if he was allowed to be on the property," police officials said in a statement. The man, whose identity has not been released, showed the officer his school identification card and told him he lived at the residence. But when the officer detained him for further investigation, the man grew angry and his neighbor started recording the incident with a cell phone. The man was holding a bucket and a metal trash grabber, a tool used to pick up garbage. But in the video, the officer, holding a gun in his right hand, refers to the tool as a weapon and orders the man to put it down. The officer radioed for back-up, saying the man was "being uncooperative and unwilling to put down a blunt object," the police statement reads. "I don't have a weapon," the man yells, screaming expletives at the officer and demanding him to get off his property. Within minutes, other officers arrived on the scene, at least one holding a shotgun, the video shows. "This is my property. I live here," the man yells. One of the officers tells the man to "just relax" and another orders him to sit on the ground. The man eventually put down his bucket and trash grabber and the police officer who first questioned the man holstered his weapon, according to the video. "Officers ultimately determined that the man had a legal right to be on the property and returned the man's school identification card. All officers left the scene and no further action was taken," the police statement reads. News of the incident spread throughout Boulder, prompting a large and angry crowd to attend the Boulder City Council Meeting Tuesday night, many in attendance holding metal trash grabbers. "This is an extremely concerning issue, and one that we are taking very seriously," Boulder Police Chief Greg Testa told the city council. Testa said the officer who first confronted the man has been placed on administrative leave, pending the outcome of the internal affairs investigation. He did not identify the officer.